Can anybody confirm that there is deep groove on one side only for this? Just bought a copy with everything else matching except no DG on either side. And it’s hard to tell from the pics. By the time this was released Lee Morgan left the Jazz Messengers (although he was to return later). This particular ensemble recorded many tracks between Feb and May '61 for Blue Note, resulting in this album, "Roots & Herbs" and "Witch Doctor". There are no duds here. 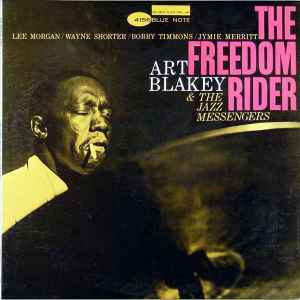 Really decent Driving Hard Bop on all the tracks except the title, where yet again, Blakey can keep me engaged me with an extended drum solo. Definitely recommended.